(226) New Feature (03/28/16/JPR): A new category titled “Search” has been added to the main datasheet menu. 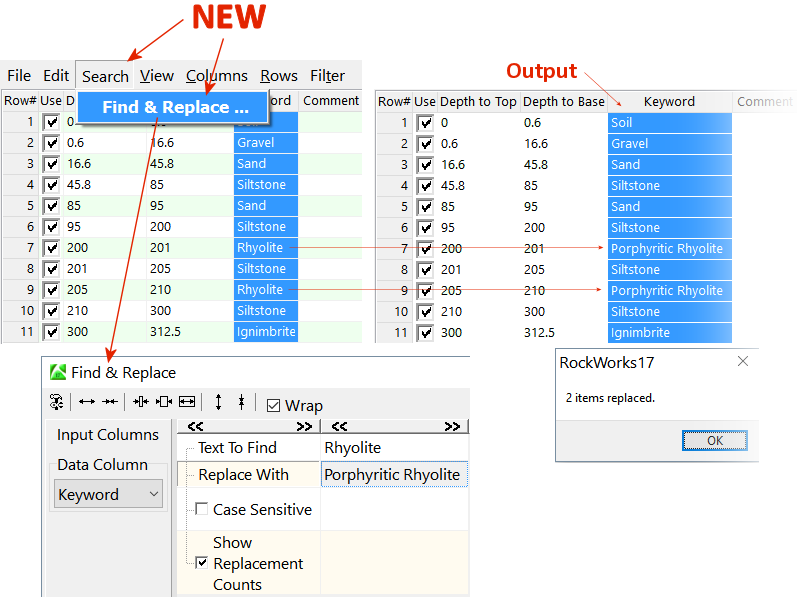 This new menu currently has only one option titled “Find & Replace” which is used to replace specified text within a designated column. This entry was posted in Revisions, RockWorks by Jim Reed. Bookmark the permalink.